Hello!! Thanks so much for stopping by! I hope you are having a fabulous Friday! An new Friday means a new challenge at Just Add Ink. This challenge is brought to you by fellow Design Team Member Tina Gillespie Check out Tina's fabulous creations here! This weeks challenge is Just Add Anything with W. WOW! What a tough one!!! But they don't call it a challenge for nothing right?! I thought about doing some water colouring but for the life of me no ideas were coming. 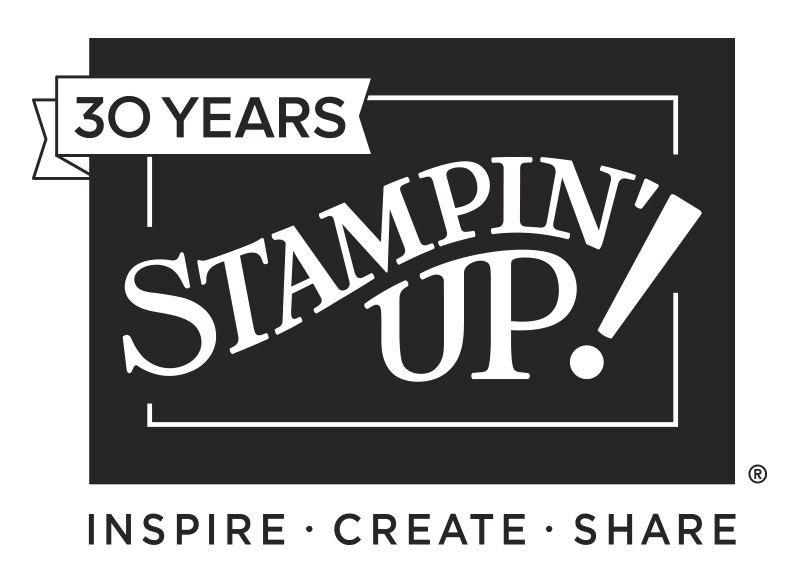 So then I thought why not use the Stampin' Up! 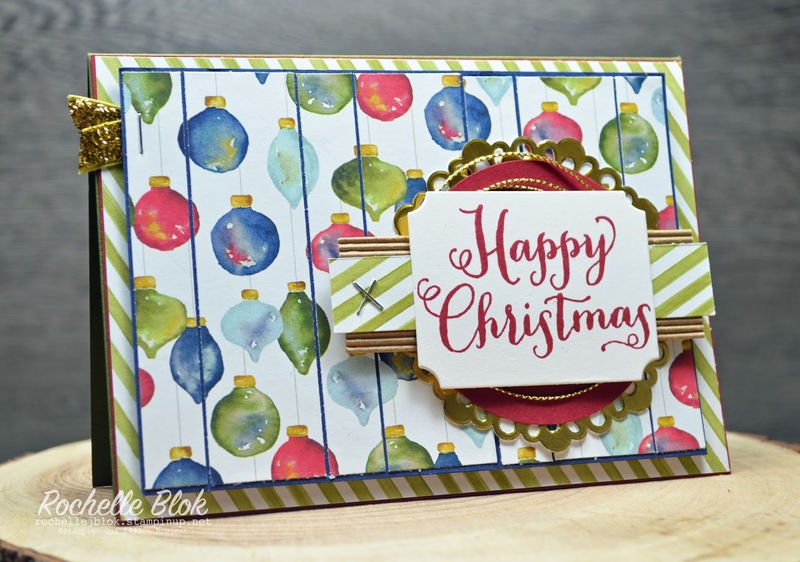 stamp set Wonderland and the co-ordinating Winter Wonderland Speciality DSP. I think using those products cover the 'W' brief. I really love the antlers from the Wonderland stamp set and that Winter Wonderland Speciality DSP is beautiful. It really gives your creations a elegant and luxurious feel. I've embossed the antler image with Gold Stampin' Emboss Powder on Basic Black cardstock. I really love the simple elegance of the antlers on their own. 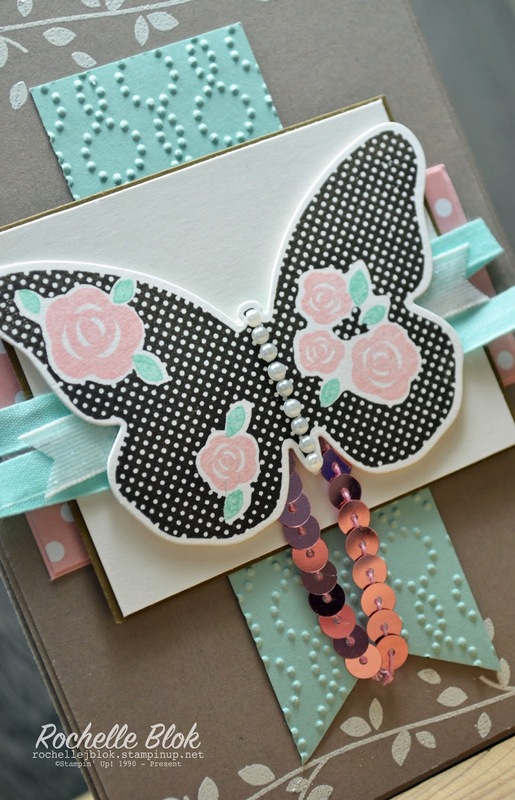 The snowflake image around the border of the kraft cardstock is also part of the Wonderland stamp set. Its a fantastic image to randomly stamp and create a falling snowflake look. 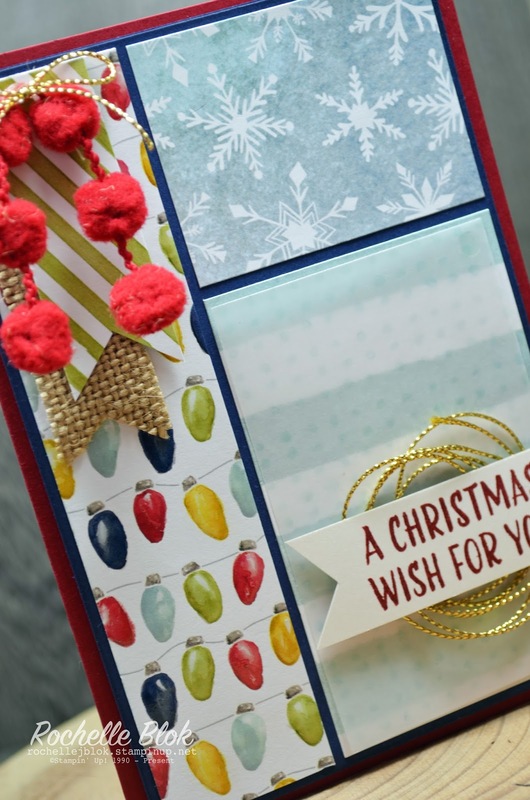 The card is also finished off with other pieces from the Winter Wonderland Suite - Winter Wonderland Embellishments and Winter Wonderland Designer Vellum Stack. 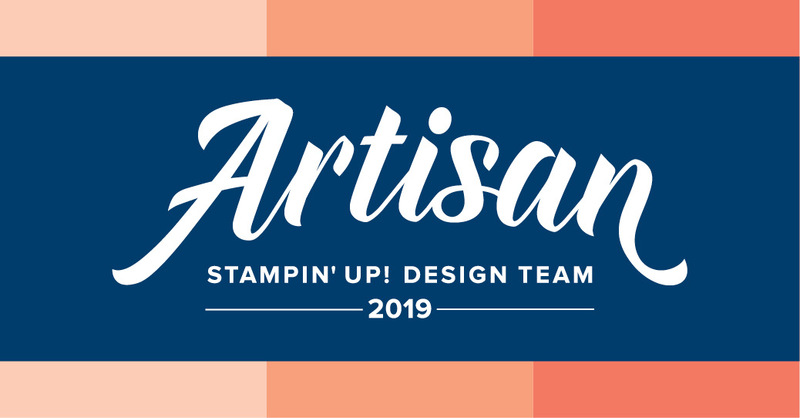 Have a look at all the other wonderful 'W' creations from the rest of the Just Add Ink Design Team and I can't wait to see you link up your creations on the Just Add Ink Blog. Hello and a big welcome to you! I hope you have had a wonderful Sunday! Mine has been a very busy one travelling from the beautiful city of Perth back to my home in Melbourne. I've just spent a few days away visiting my brother and sister-in-law and having a bit of a holiday! It is a 3 1/2hr flight but it takes out your whole day with getting to and from airports and changing timezones and losing 3hrs on the way back. I'm exhausted and will definelty be in bed on time tonight! 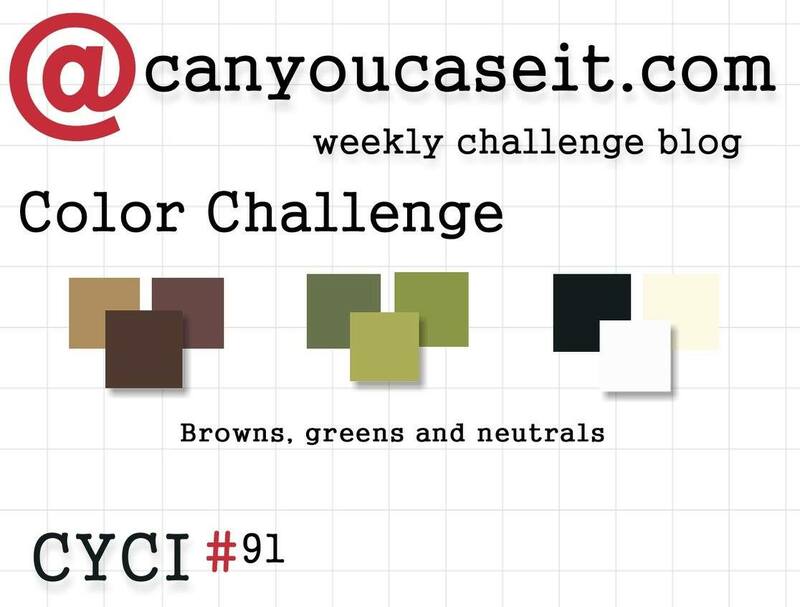 Today we have a new challenge at Can You Case It? 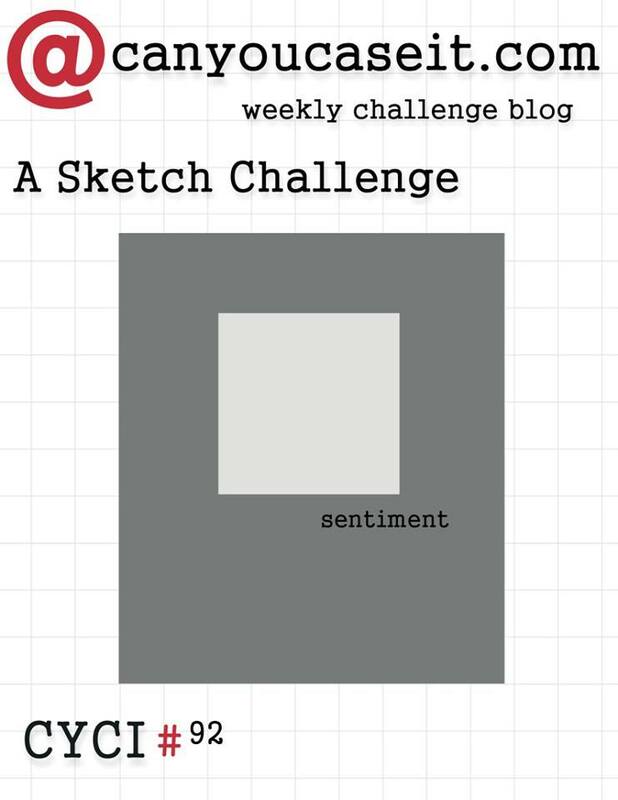 A fantatstic sketch challenge! Whoop, Whoop! Instead of making a standard size card I've gone with a square card today and kept a square in the middle. I've had a bit more of a play with the Emellished Ornaments Stamp set and the co-orninating Delicate Ornaments Thinlit set! I love these. 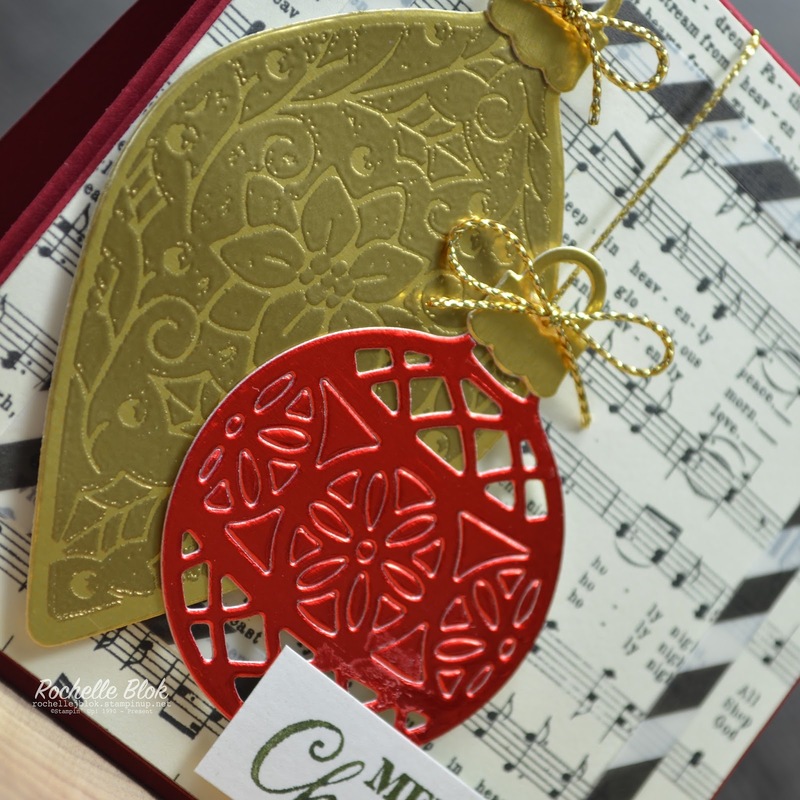 It is a stunning set and will create beautiful Christmas Cards. Please excuse my dried glue! I spilt some on the card after it was all finished! GRRR! Don't you hate that!!! 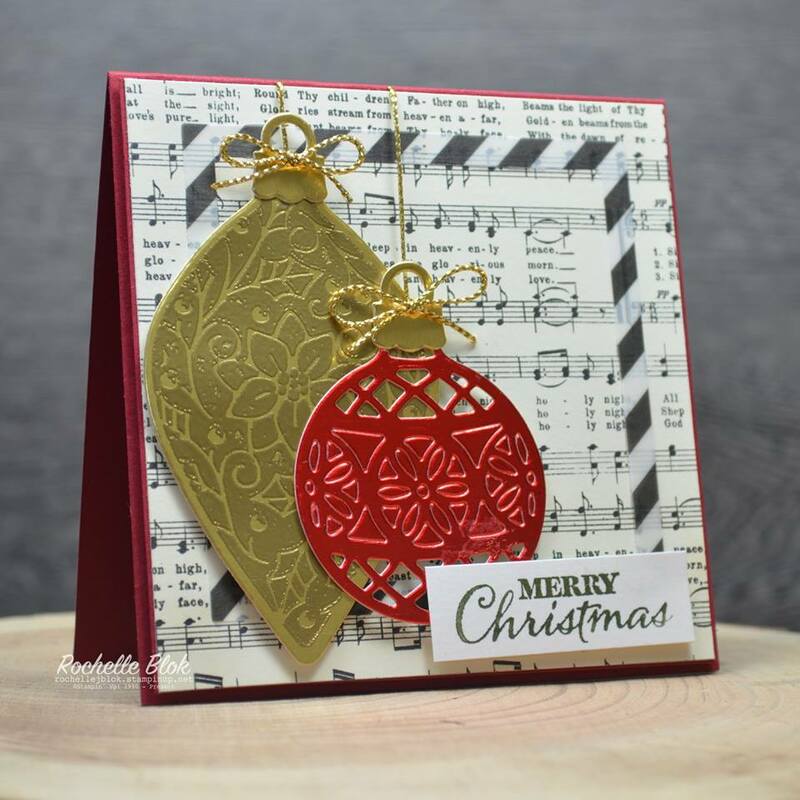 The music layer DSP is from the Home for Christmas DSP and then the striped vellum piece is from the Winter Wonderland Vellum Paper Stack. Loving the gold embossing on the gold foil sheet! It really creates and elegeant look. 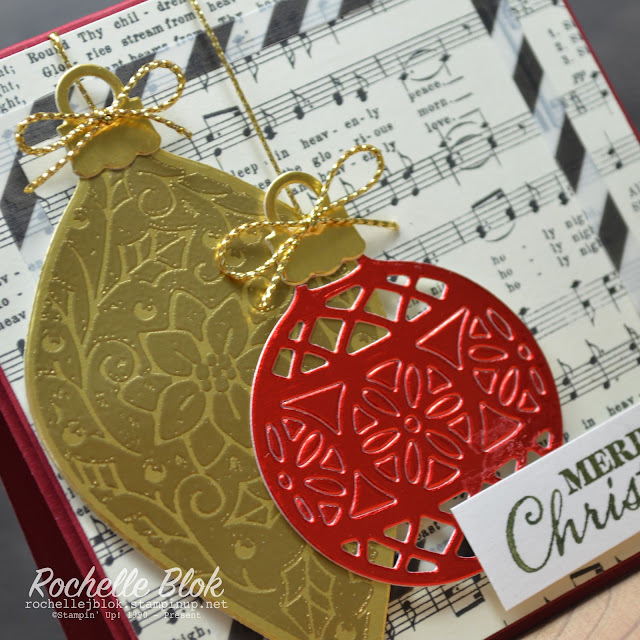 You can pop all the pieces out of the die cut ornament or you can keep them in like what I did to create a different look again! Its all how you want your card to look. Come and have a look at the rest of the CYCI desgin team to see what they have done with the sketch and then come and show us your creations for this weeks sketch! I'm really looking forward to seeing what you create! Hello and welcome. I hope you are having a fabulous Sunday in your part of the world. A day of rest and to catch up on your favourtie crafting blogs and get creative maybe? 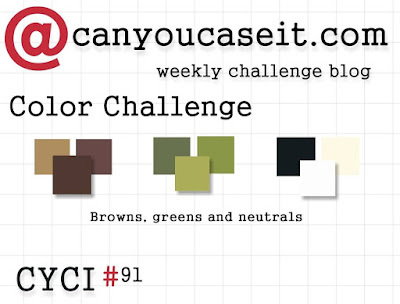 It's also the day for the new challenge at Can You Case It? - a colour challenge. It always takes me a little bit to get the idea going with a colour challenge. I think because there is just so much scope with what you could do that I get a little overwhelmed with all the possibilities of what I could create. But these challenges are meant to challenge us right? I did go to Pinterest to have a look at some of the card sketches that I have saved so that did help me a little. I must say when I saw the colours for this weeks challenge on the Design Team schedule I can't say I was too excited about the colours but once I got creating I'm really happy with the colours and the way the card turned out! Sometimes the colours may not jump out at you at the start but once you get creating it all melds into one fabulous creation! I've used 3 stamp sets for this card today (all Stampin' Up!). Gorgeous Grunge, Kinda Eclectic and Crazy About You. They all seem to work really well together. How beautiful is that Early Espresso ribbon?? I've had that roll for a long time and even had to dig at the very back of the draw to find it. It's just gorgeous! Thanks so much for stopping by and I hope you will check out the rest of the Can You Case It? Design Team to see what they did with this weeks colours! There are some awesome creations! Looking forward to seeing your projects this week! WOW! It's Friday again! These weeks come around so quickly. And this week was no exception. This kids are back at school for the last term of the year and they have just finished their second week so we are back into the full swing of school, home, church and everything else life. This week at Just Add Ink we have a challenge suggested by Di - Just Add a Fancy Fold. This is something I don't do very often at all so it was a great challenge for me too. 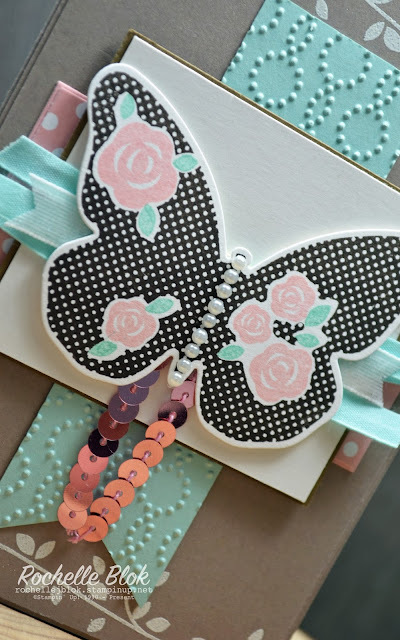 I've made a Pop Out Swing Card and it was very easy to do. I must say the Pop Out Swing part of the card is not my original idea. I'm just not a mechanical thinker like that. I saw the Pop Out Swing Card on Pinterest and went from there. 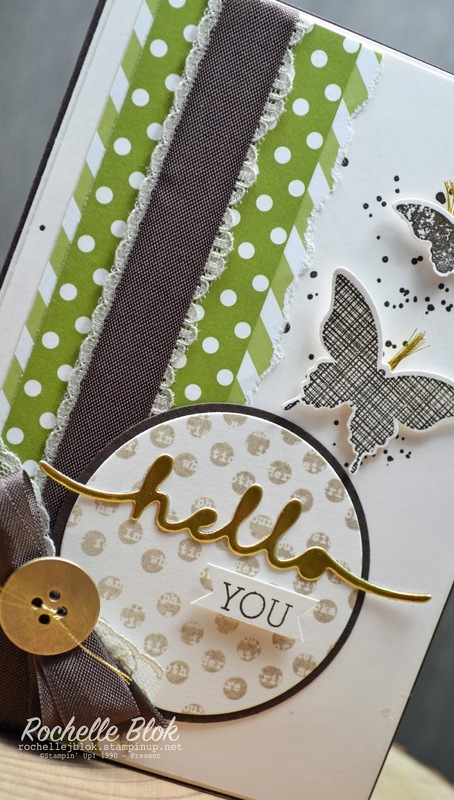 I've used the Timeless Elegance DSP to decorate my card and I've accented it with Mint Macaron and Gold (of course). 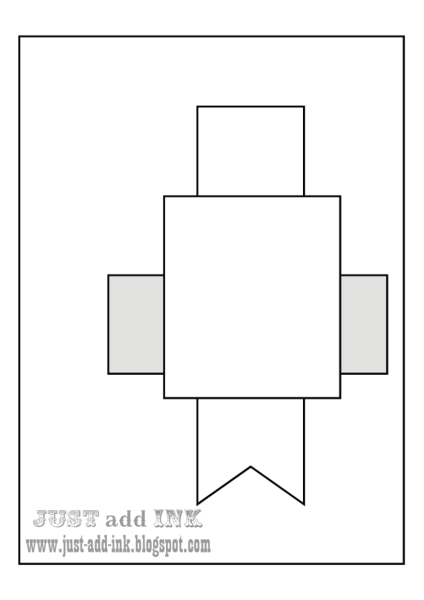 To open the card you pull out the left side of the square panel and pull the right side of the card and it will 'pop' right open and the square panel will 'swing' though the square opening. And just an inside view of the card. Accented with some Mint Macaron Lace Trim and a Very Vanilla Panel to write you greeting. Please have a look at the rest of the Just Add Ink Design Team and their Fancy Fold Creations. There are some fabulous pieces there! That's for sure!! 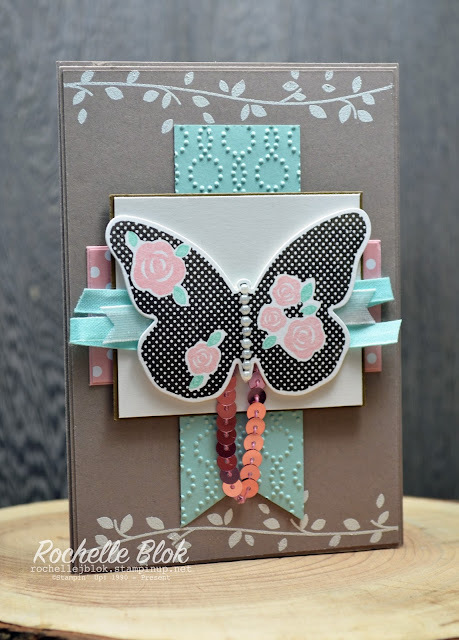 Make sure you link up and enter your projects for this weeks challenge at Just Add Ink. 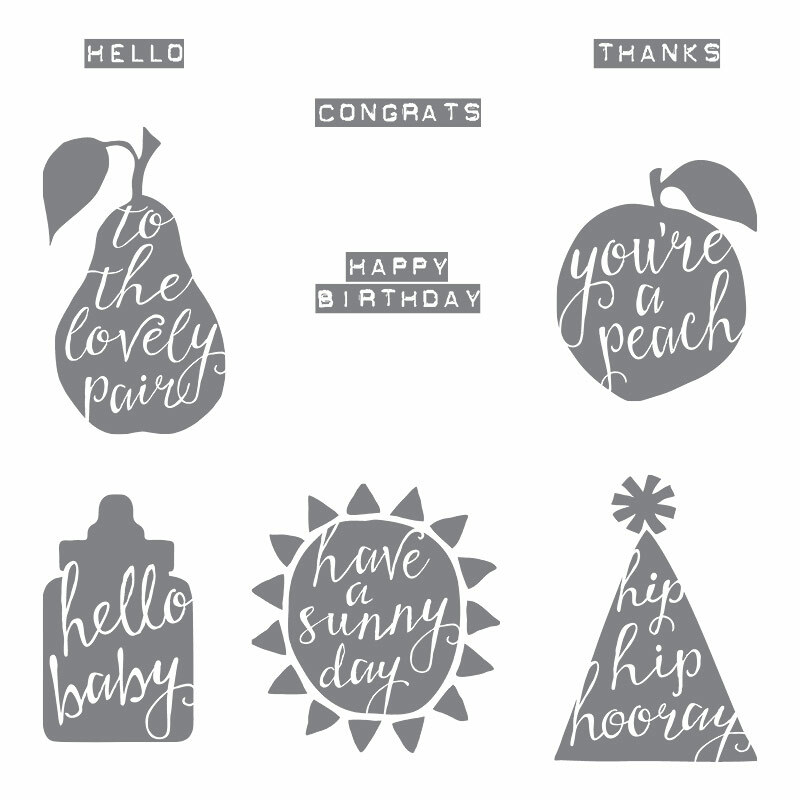 I've been having a play around with some more products from the Stampin' Up! Holiday Catalogue for today's card that I'm entering in to the Freshly Made Sketches Challenge. I really love this weeks sketch and really wanted to get something made to enter in. It's a pretty straight forward sketch that lends itself to so much interpretation. Love it! I've used the Season of Cheer DSP for my card. I just love this paper and the soft watercolour feel it gives. Just stunning! I've used some of the Gold Cording Trim, Burlap and the super cute Real Red Pompom Trim for embellishments. Its a little bit hard to see but I've stamped the dots from the Watercolor Wings Stamp set on the pieces of vellum using Soft Sky ink. I wanted to keep the dots quite subtle so that you could still see the DSP layer underneath the vellum. 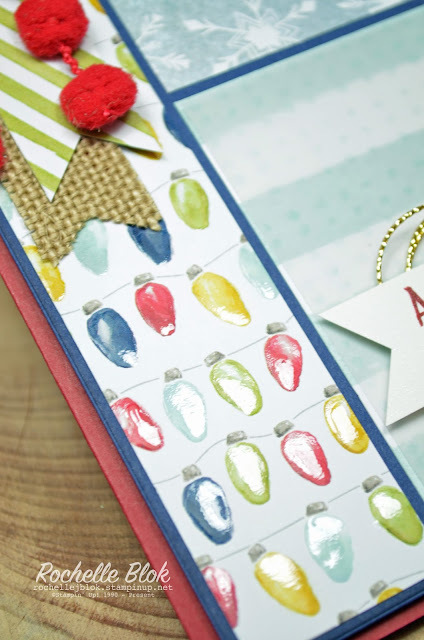 The sentiment is from the stamp set Joyful Season stamped in Cherry Cobbler. Such a perfect colour for your Christmas cards. I'm not sure if you could see it in the previous images but I put some Crystal Effects on the lights to make them a bit more shiny and to give the card another dimension. It is a little bit hard to photograph but it looks so good in real life. Yay! Its Friday! Last day of the working week, winding down for the weekend and the day that the new Just Add Ink Challenge starts! What could be better than that??!! 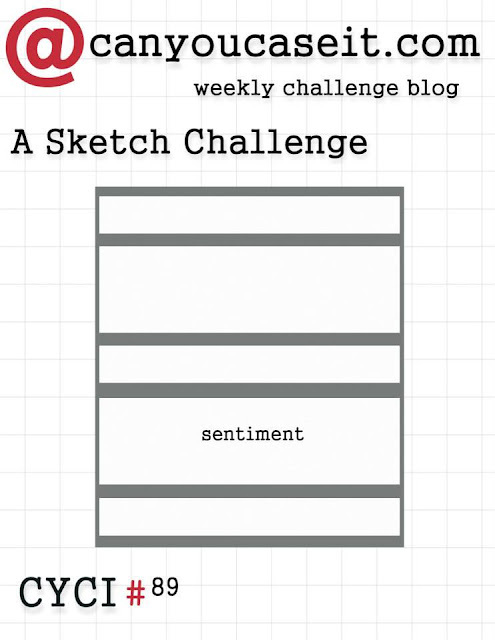 This weeks challenge is a sketch challenge by Narelle and yes I've changed it ever so slightly! Just taking my creative process to change it up a little. 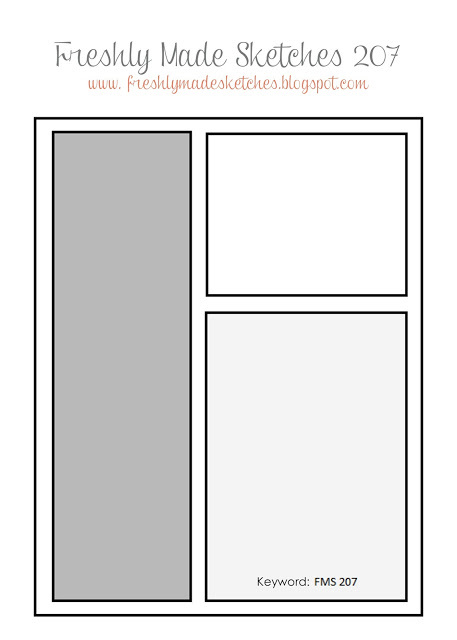 As I always say the sketch is a guide or a starting point to get your creativity going. 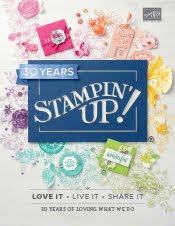 I've pulled out the Hostess stamp set, Floral Wings (you can get your hands on it in two ways, either hold a qualifying Stampin' Up! party with me (must be over $250AUD in sales) or place a $250AUD order with me and you can then choose this set for free). I really wanted to use a stamp set or some product that I haven't used before but when I saw this set on the shelf, it was practically jumping out at me to use it. So why not! Also I don't want to do too much Christmas creations yet as i don't want to completely bombard you all with everything Christmas. Trying to mix up creations from the Annual Catalogue and the Holiday Catalogue. The layers and banners on the sketch I've moved to the middle because my card just didn't look quite right with everything all to the right side. I've also turned the top rectangle panel on it's side as it felt better that way with the butterfly image on the top of it. How gorgeous is that colour combo?? 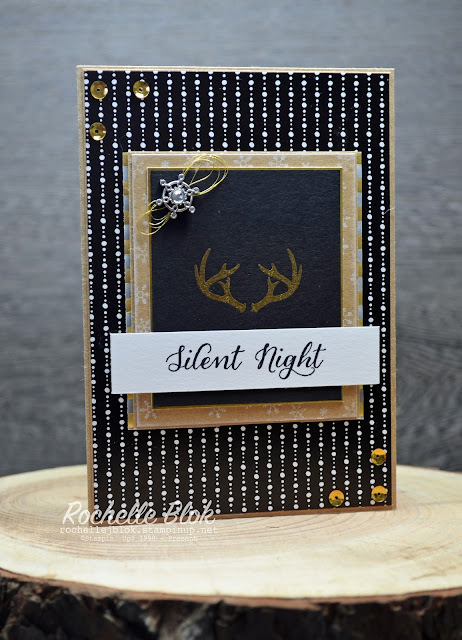 I saw it on facebook as a colour combo suggestion by fellow Aussie Stampin' Up! Demonstrator Bronwyn Eastley. I saw it and thought I have to use that! It's just too gorgeous! It's such a stunning stamp set! I really do love it! 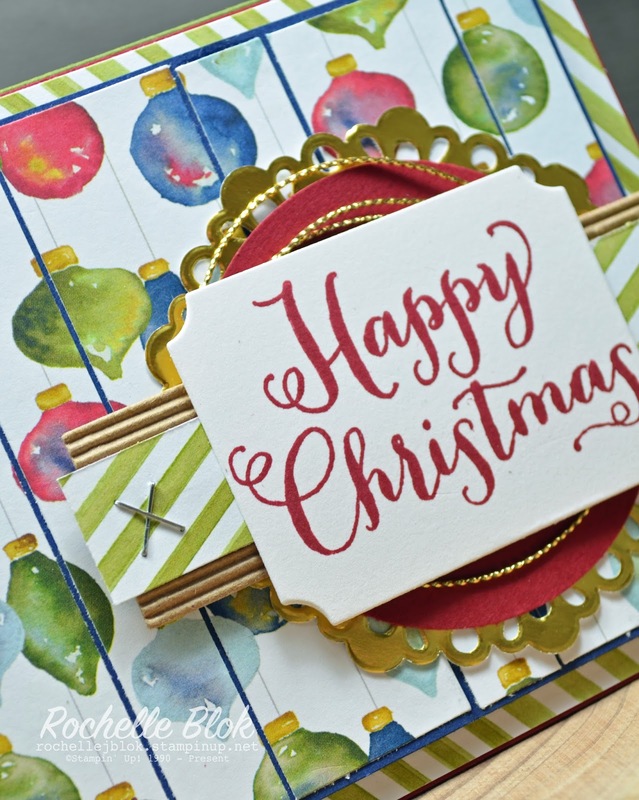 Love all the layers to the image and I love that every time you use this stamp set the change of colours makes it look so different every time! 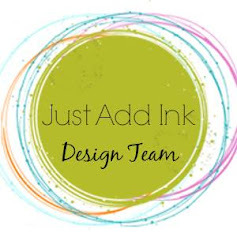 Have a look at all the other wonderful creations from the rest of the Just Add Ink Design Team and I can't wait to see you link up all your creations on the Just Add Ink Blog and see your take on this fabulous sketch! Hello and a happy Sunday to you all, or for those who follow me from Australia and the like I hope you've had a fabulous day! I know I have! The sun was out for a beautiful 27 degree day (82F) and it was a stunning day all round. A new challenge is up at Can You Case It? and this week its a sketch challenge. Yay! If you follow my blog you will know sketches are my all time favourite! I thought I would turn the sketch on its side this week and work from there! And yes it's a Christmas card again! 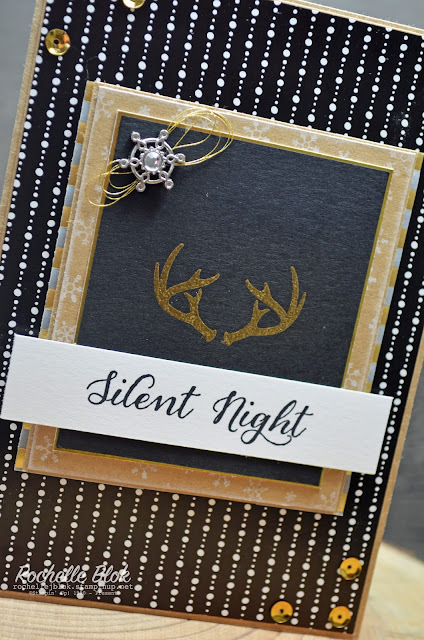 Sorry for those who aren't ready to see all the Christmas products just yet but I'm really loving all of the products from the Stampin' Up! 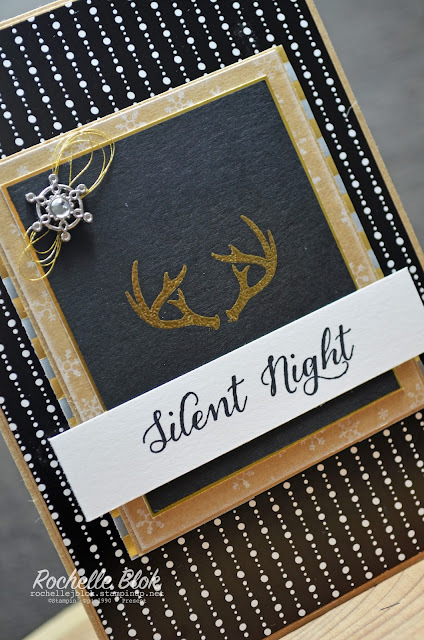 Holiday Catalogue and am loving using them. 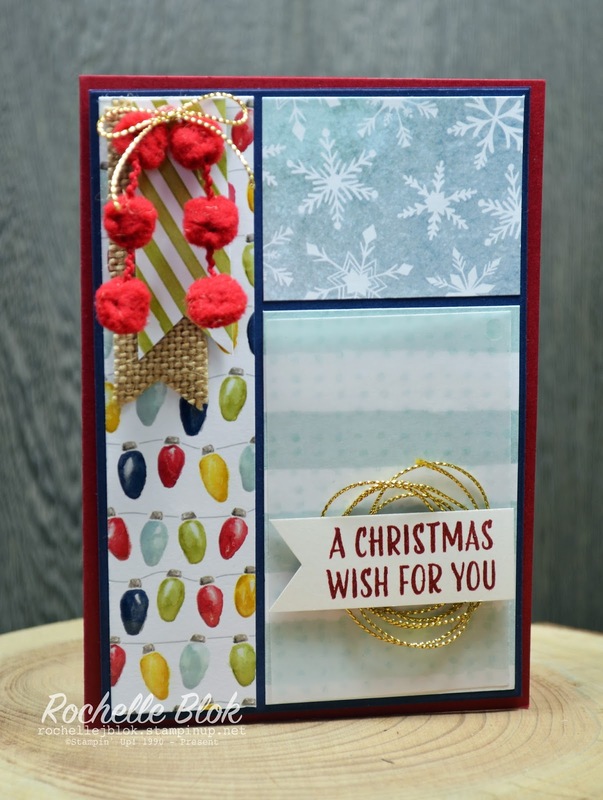 Here is my card using the absolutely stunning DSP , Season of Cheer. It is beautiful! 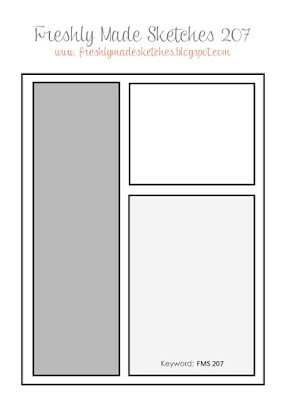 I've cut a few extra strips than the sketch but I always feel that the sketch is just a guide and you don't have to stick to it exactly as it is. Use a little bit of creative interpretation and change it up a bit. 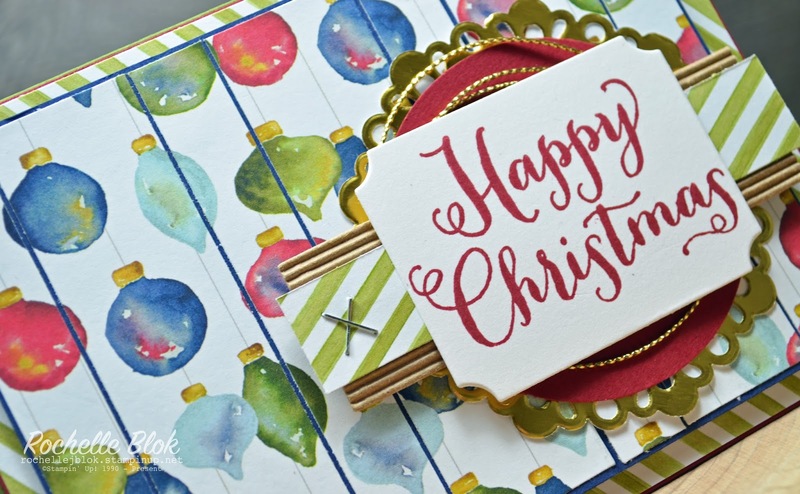 The Happy Christmas sentiment is from the Oh, What Fun stamp set that goes with the Oh What Fun Tag Project Kit. 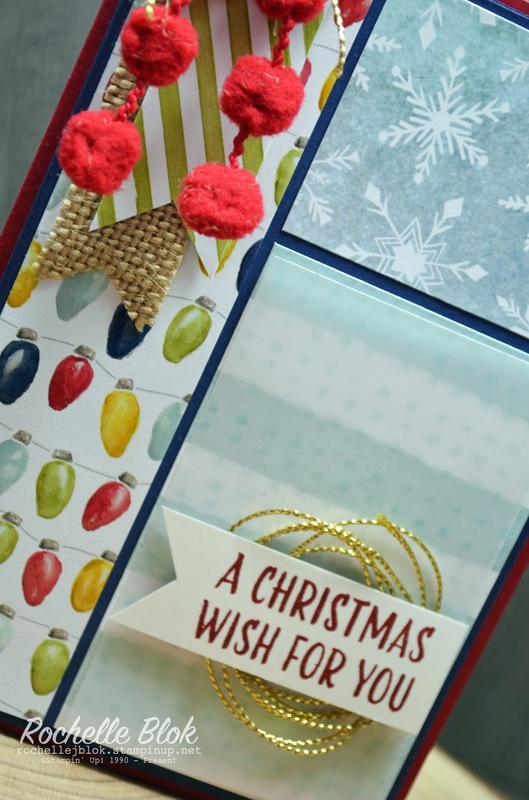 It really is a fantastic set and has lots of different sentiments for you Christmas creations. 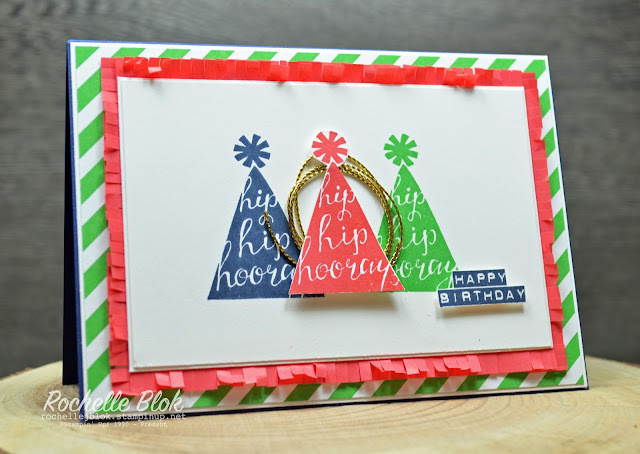 You don't have to use it just for the Oh What Fun Tag Project Kit. 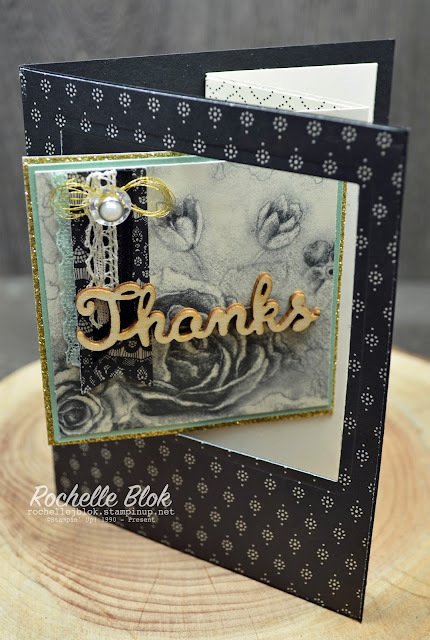 The card is finished off with some Gold Glitter Ribbon, Gold Cording Trim and a Gold Doily. I'm loving the gold! Go and check out the rest of the Can You Case It? Design Team and what they did with the sketch and then enter your creation on the Can You Case It? 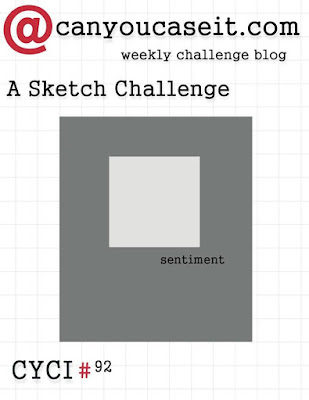 blog to show us how the sketch inspired you. Can't wait to see what you come up with. 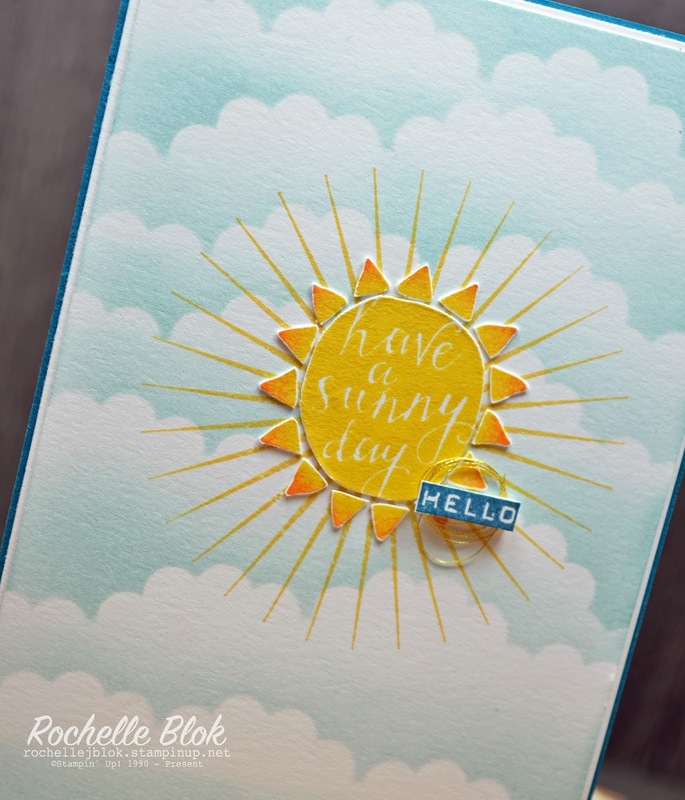 We are back with another INKreators Blog Hop and this hop we are being the Hostess with the Mostess and showing you creations with the Hostess Sets. 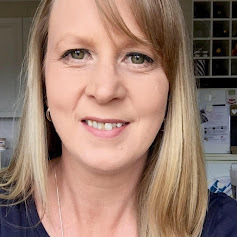 Welcome to you all coming from the fabulous Liv Ingle and welcome to those who are starting the Blog Hop here! For this hop I'm using the Hostess Set Silhouettes and Script. These sets are very exclusive and there is only two ways you can get your hands on them. 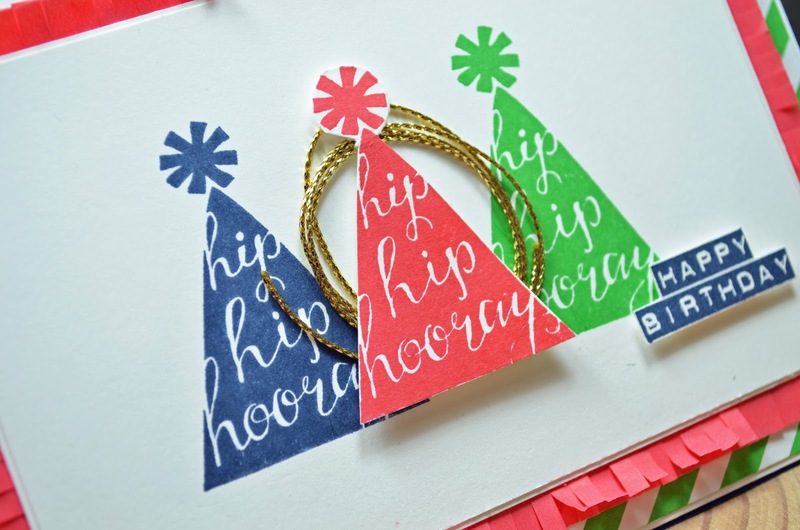 Either hold a workshop and have your workshop party sales reach $250 + and you can choose a hostess set for free. Or place a $250+ order and again you can choose a hostess set for free. 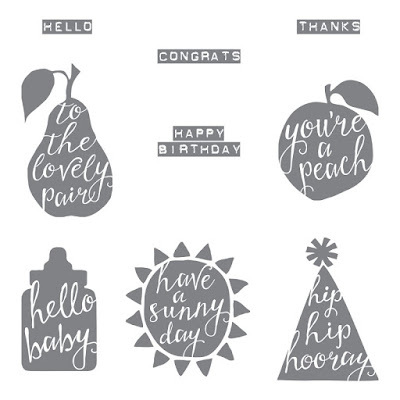 This set covers all occasions and I've made a few cards today to show that! The first card I made is using the Party Hat image. I've just repeated the image in Night of Navy, Watermelon Wonder and Cucumber Crush. How bright are those colours??!! Around the edges I've made a bit of a fringe using the Cotton Paper and cut with the Fringe Scissors. Just gives it a bit more of a fun party feel. 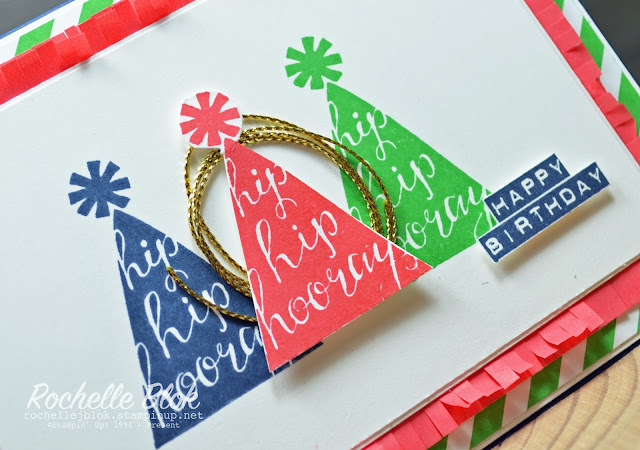 All finished off with some Gold Cording Trim and the Happy Birthday Sentiment. My second lot of cards is some baby cards. And of course I had to make a Pink and a Blue one. I've just repeatedly stamped the 'Hello' sentiment on the Pink Pirouette tag with Pink Pirouette Ink for a tone on tone look. Around both of the bottles in the Girl and the Boy card I sponged a complimenting colour around the edge. I used a dauber and tapped it around the edge. The edge around the pink one is a little bit harder to see but it is there! 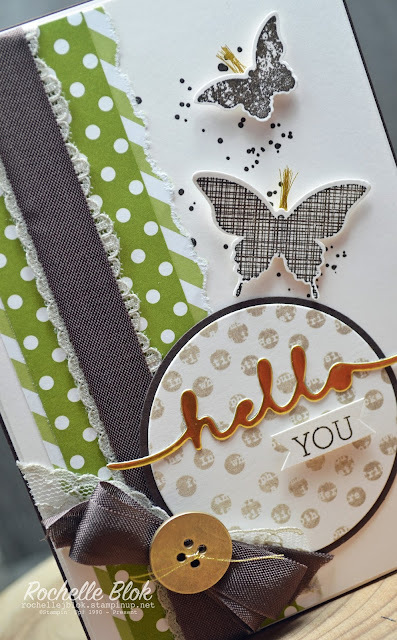 I love the Softly Falling Textured Impressions Embossing Folder! You can use it on everything! Doesn't have to be just for those Christmas Cards. The last card is using the sun image. I've sponged the cloud background using some scrap scallop circles punched out and then stuck them together in a row and used that as my template. The rays behind the sun are from the set Kinda Eclectic. 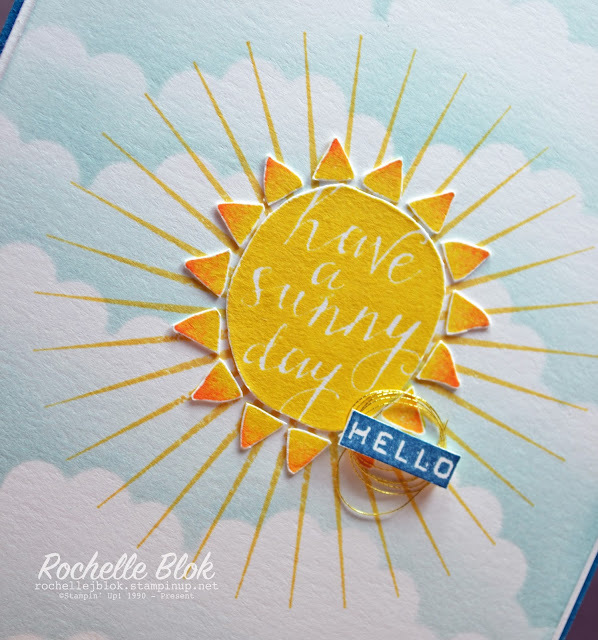 Again I sponged around the edge of the stamp with a sponge dauber using Pumpkin Pie just to give the sun a bit more dimension. When you use the dauber to add colour remember to tap the colour on not to swipe otherwise you will get streaks in the ink. I hope that I've inspired you today with my creations and given you some other ideas on how to use this set. 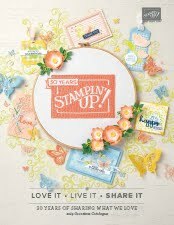 If you would like to get your hands on this fabulous set why not contact me here about holding your own Stampin' Up! party or to place a qualifying order. Looking forward to hearing from you. Next on the hop is the uber creative Lauren. Click on the Next Blog Button below to see what she has created and be sure to leave a comment to everyone along the way! We really love to hear what you think of our creations.